If you've ever admired the elegance of an archway or been awed by an arched ceiling, but weren't sure if such a project would fall within your budget - you've found your solution. 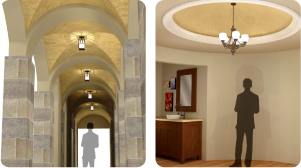 Archways and arched ceilings have historically been skill dependent, costly and very time consuming. We've got some good news for you...not anymore! 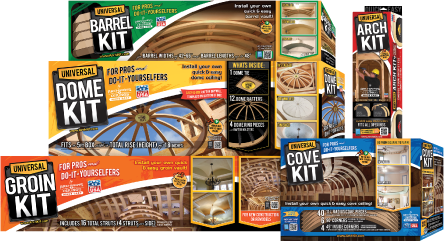 Our prefab archway and ceiling systems are designed for the PROs, but easy enough for DIYers: our products eliminate the skill, makes it affordable and saves a ton of time! If you are questioning yourself about whether or not a ceiling will look good, hesitant about clearance issues that would make a particular ceiling impractical (e.g. roof rafters, doors, windows, etc.) or have an indecisive client for which a visual aid would bolster their confidence, then "Picture This!" may be just what you are looking for.